← You’re doing what where?? 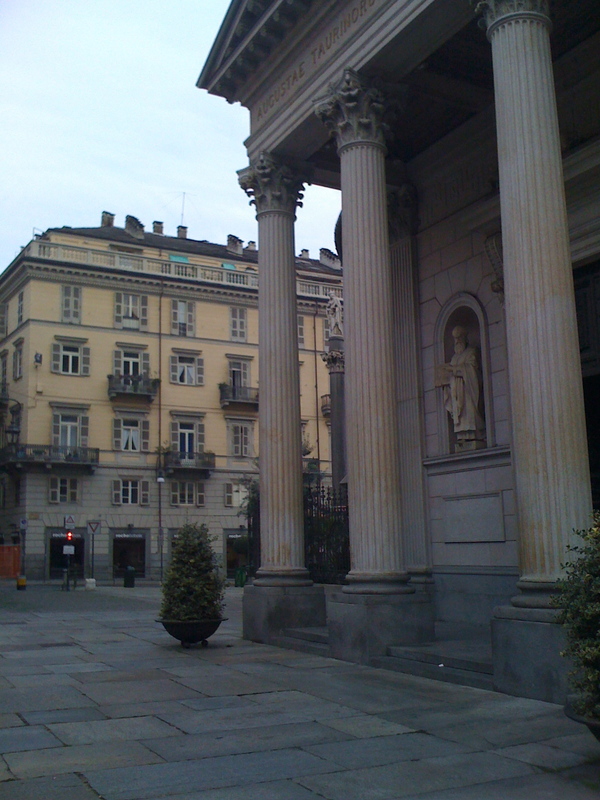 I arrived in Torino on Monday and spent the first few days getting acquainted. I’m staying in a small apartment in a very old neighborhood in the central city. The neighborhood has narrow streets, lots of churches, long promenades of ancient stone – an urbanista fantasyland of old Europe. First the Romans, then the Savoy kings, carefully planned and built a city of palaces and passagiatas. I feel like I could walk around Torino every day for years and find some new glorious treasure every time. But this ancient city also bears the scars of a half century of automobile use – even in the historic district. The narrow streets are jammed with cars, pedestrians and cyclists dodge maniacal drivers, and idling traffic pollutes the air. A local shopowner, Graciella, was skeptical when I told her I’d come to Torino to learn about reducing automobile dependence. 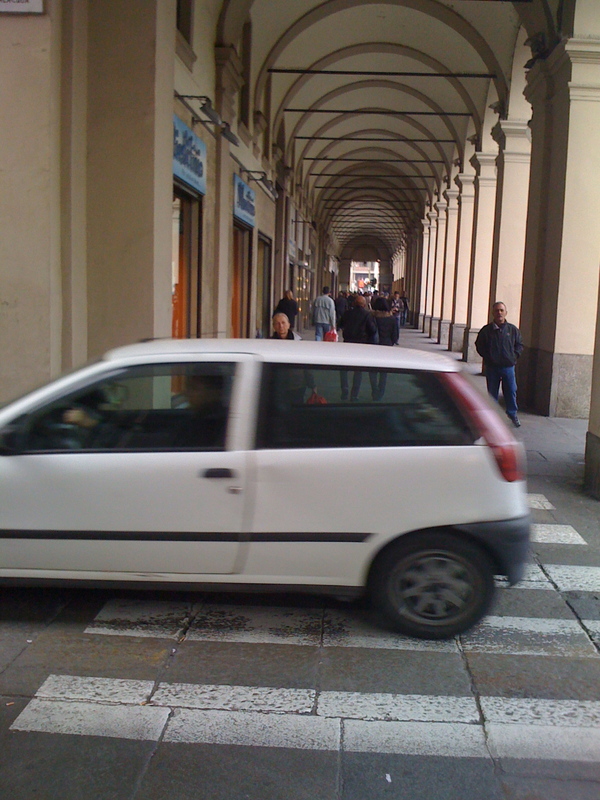 Torino is, after all, a city of cars. As the home of FIAT, Torino has sometimes been called the Detroit of Italy. The automobile was the economic engine of Torino for the last century, a strange and contradictory twist of fate for this ancient city. But the story doesn’t end there. When the Italian automobile industry went into decline in the 1970s and 80s, it was devastating for Torino. Around the same time, a growing crisis in local government reached the breaking point – Torino had a series of four mayors in five years. Faced with these dual crises, Torino faced some difficult choices and had little in the way of political or economic capital to work with. Business-as-usual wasn’t an option, because business-as-usual no longer existed. Hey California, sound familiar? What emerged from this crisis was a transformative regional partnership, the first of its kind in Italy, that created a new vision for the built environment and the regional economy. That vision was adopted in a series of key documents in the mid-1990s and implementation has been underway for 15 years. In the coming days and weeks I’ll explore that transformation in greater detail, including the projects and policies themselves, as well as the political steps that were taken to develop and implement Torino’s regional vision. Stay tuned.